Christian Brothers is proud to be a part of a group of Texas roofing and waterproofing experts whom strive to be industry leading experts. RCAT's mission is to help its members operate successfully by educating, sharing research data, industry contacts, consumer help, and a platform for governmental and public relations. 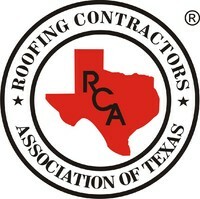 Christian Brothers Roofing is approved by the North Texas Roofing Contractors Association. Our focus is to ensure professional and quality craftsmanship while delivering exceptional customer service.